Best BuyHP told me that they want the computer back when I’m done testing it. And, I’m going to be sad to see it go. 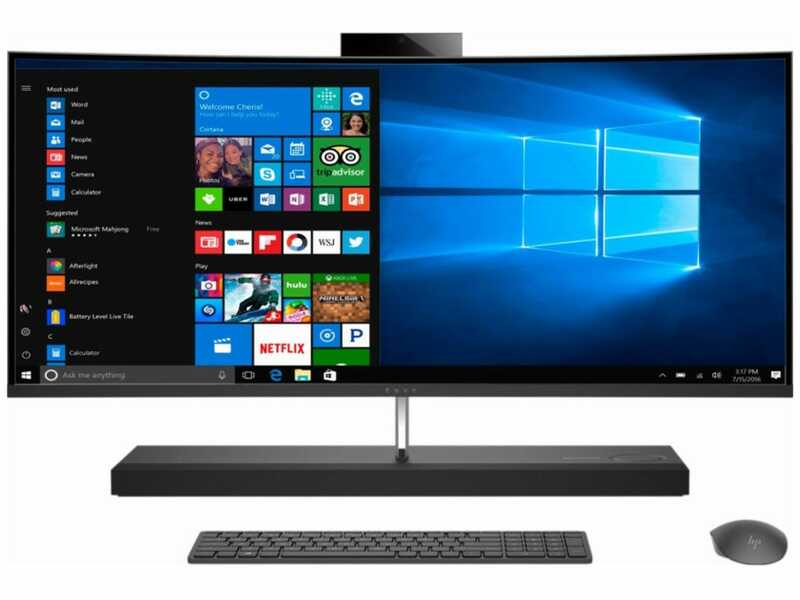 All-in-one computers are great for people who want a device for enjoying media, doing work, and browsing the web. For decades, HP has been one of the top names in the desktop-computing world thanks to their commitment to balancing detail with affordability. This commitment showed with the HP Envy 34, which features an attractive 34″ curved LED screen, Bang & Olufsen audio, and enough storage and memory to tackle almost any task. 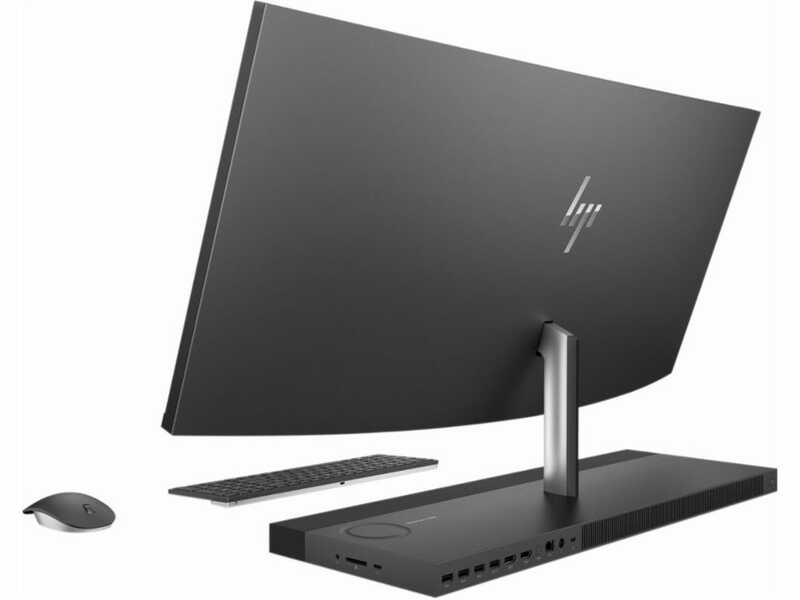 Though the HP Envy Curved 34″ All-In-One is pricier than your average PC (currently $ 3,699), I found it did an excellent job of boosting my productivity when working and streaming HD movies relaxing. I’m a simple man. When it comes to computers, I don’t want to have to shop for the best monitor, tower, and components separately. I want a single unit that has all of the best in one package, and I don’t mind paying a little bit more for this convenience. I’ve used all-in-one (AIO) computers throughout my work-from-home career. When my AIO was starting to slow down after five years of service and reinstalling the operating system didn’t fix things, I reached out to HP to see if they would let me test their HP Envy 34″ Curved AIO. Here are my experiences with it. 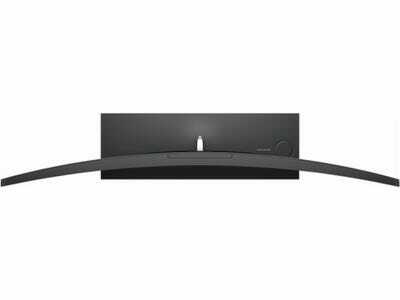 One of the most impressive features of the HP Envy Curved is the 34″ UWQHD LED screen. Since screens are always measured on the diagonal, it’s worth noting that the dimensions are 13-1/8″ tall by 31-1/2″ wide. The resolution is 3440 x 1440 (21:9 aspect ratio). If none of the above makes much sense to you, just know that this machine has all of the makings of a workhorse. The graphics are enough for most tasks, save heavy gaming. You will have a hard time filling up all of that storage, and if you do, you probably know about the cloud or external hard drives. And, the 16GB RAM and quad-core processor are ideal for chronic multitaskers. Setup time was relatively fast. After 18 minutes of unboxing, logging in, installing updates, saying I didn’t want to sign up for any newsletters or special offers, and choosing other preferences, I was ready to put that massive screen and computing power to work. Best BuyEssentially, the big curved screen is like having two monitors. The hardest feature to get used to was the size of the screen. It tilts and has an attractive curve, but it was a bit much to take in. Once I realised that I didn’t need to sit so close to it, the display became a bit more manageable. Essentially, it is like having two monitors. As a writer, I like to be able to see what I am working on while also viewing a few windows of research materials. The 34″ screen helped immensely with this and saved me from jumping from one tab to another, which could potentially lure me into a social media wormhole. The camera can be pushed down into the monitor if you are concerned about hackers gaining access and seeing what you are up to. However, you still need to pop the camera back up if you want to log in using face recognition. Speaking of the face recognition, initially, I had it analyse my face when I had a substantial beard. After I shaved, it no longer recognised me. To be fair, my friends have the same problem. If the PC doesn’t recognise your face, you can still log in with a PIN. 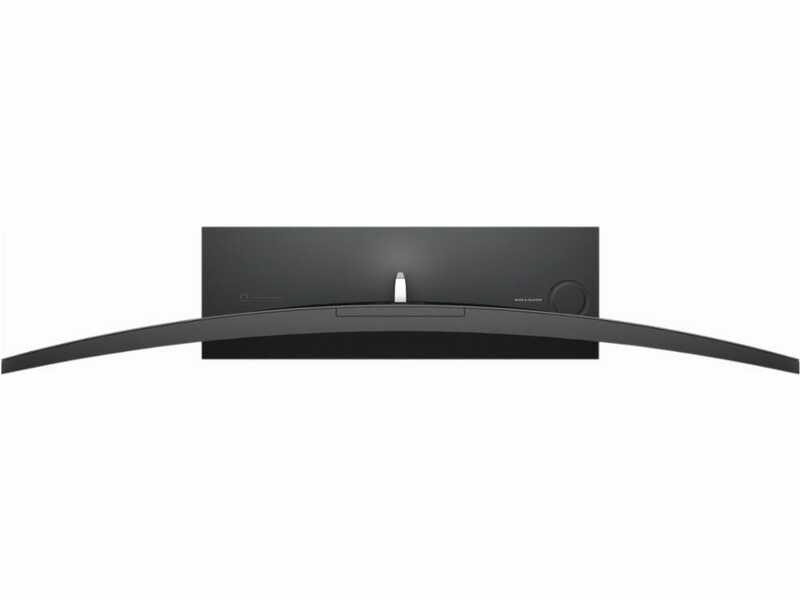 The sound is delivered from front-firing quad speakers in the soundbar at the front of the computer’s base. The Danish high-end electronics firm Bang & Olufsen is the brains behind the audio. The base is outfitted with touch controls that allow you to play, pause, and adjust the volume of your media without touching the keyboard or mouse. As a sloppy person with a cluttered desk, I accidentally hit the controls on several occasions so I disabled it. However, it did function flawlessly up until I gave it the ax. Overall, the audio quality is impressive. The bass isn’t earth-shattering due to the size of the speakers, but the sound on all levels is incredibly clear. I got a reading of 99 decibels approximately 12″ from the speakers when blasting some tunes. So, it should be sufficient for rocking out or getting wrapped up in action movies. One morning, I tried to play some background music while working, but the HP Envy told me that I didn’t have speakers. It didn’t recognise their existence. So, I clicked on the little blue and white question mark icon in the lower right to launch HP Support Assistant. I was instantly messaging with Prachi, a support representative, who let me know that the root of the problem was a Windows 10 update that had some configuration and compatibility issues with the Realtek sound card. I gave him control of my computer, and after reinstalling the sound driver, I was able to play Brian Eno. This was my only experience with the HP customer support, and I was impressed that they were able to fix my problem in under 10 minutes with minimal effort on my part. 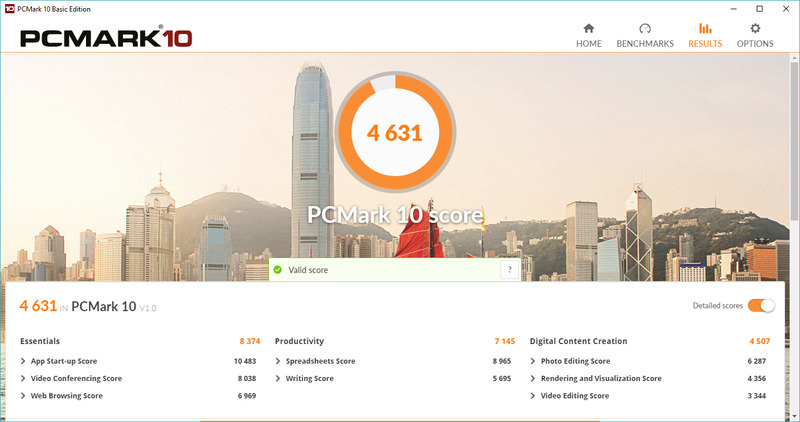 Lastly, I tested the HP Envy 34 using the UL PCMark 10 test, which is considered the industry standard for PC performance for Windows 10 machines. Overall, it scored 4,631, which is better than most PCs, very good for AIOs, but not as good as the high-octane gaming consoles or graphics-editing computers. However, it did score quite high for productivity (7,145) and essentials (8,374), such as app start-up, video conferencing, and web browsing. Visit the PCMark website to learn more about this benchmark test. I really didn’t like the wireless keyboard and mouse that came with the HP Envy Curved. There seemed to be some disconnect between how the keyboard communicated with the computer because it would occasionally register several keystrokes when I only pressed the key once. This was endlessly frustrating so I ditched the keyboard pretty early on in the testing. I used the mouse throughout the testing, but quite often, it would register right clicks as left clicks, even when I clicked as far to the right as possible. All of the USB 3.0 ports are located in the back of the computer’s base. This can be a pain to access at times, especially if you have your PC against a wall. My last concern is that there is no CD/DVD drive. Many of us still have these discs and would like to listen/watch them on our fancy computer. A disc drive would also have saved me a couple of minutes setting up my printer. Instead, I had to download the drivers online. Best BuyThe hardest feature to get used to was the size of the screen. HP told me that they want the computer back when I’m done testing it. And, I’m going to be sad to see it go. This is an awesome machine. A good test of whether I would recommend a product is if I would replace it if it were to disappear tomorrow. Since I don’t have the income to spend more than $1,000 on an AIO, I probably would not. But, if I came into a little extra money, this would be at the top of my list of items to buy. It is worth the price tag, and I’d be hard-pressed to find a PC that more closely meets my needs. That said, I strongly recommend the HP Envy 34″ Curved All-In-One if you are looking for a computer that can handle excessive multitasking, stream crystal clear video, perform actions faster than you can click a mouse, and you have a generous budget. The publisher of Business Insider has affiliate partnerships, so we may get a share of the revenue from your purchase.